While the megastars like Channing Tatum, Steve Carell and Mark Ruffalo walk the red carpet in Hollywood for its official U.S. debut, Foxcatcher will quietly slip into the Midwest as part of the St. Louis International Film Festival this Friday. 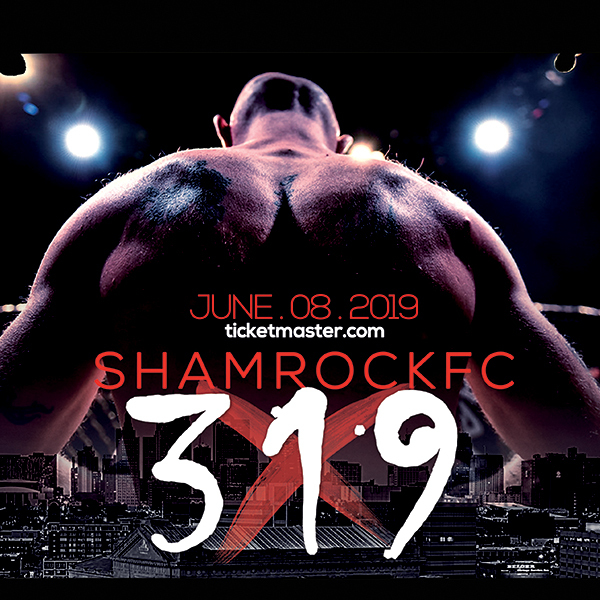 While you may not know it, Foxcatcher has a connection to the St. Louis area. Foxcatcher is the true story of an eccentric and deranged John DuPont who sponsors amateur wrestling, mentors Olympic Champion Mark Schultz and eventually kills Schultzs brother, Olympic Champion Dave Schultz. The drama is a dark, intense wrestling movie meticulously crafted by Director Bennett Miller, known for his powerful storytelling in Capote and Moneyball. From the St. Louis International Film Festival description: Intended as the fulfillment of the American Dream, Duponts project instead devolves into a Greek-infused tragedy, with the mens relationship poisoned by inequalities of status, talent, power, and desire. The film premiered at the Cannes Film Festival with huge success, including Miller taking home the Best Director prize at the festival. Variety described it as bleak, bruising, furiously concentrated storytelling, anchored by exceptional performances. Foxcatcher has stirred up the Oscar buzz with surprisingly award worthy performances from Carell, Tatum and Ruffalo. For guys who are known for their comedic superstardom, these three guys have produced unforgettable, gripping roles. The supporting cast carries some big names as well, with Vanessa Redgrave, Sienna Miller and Anthony Michael Hall. Nancy Schultz, the widow of slain Olympic Wrestler Dave Schultz was born in East St. Louis and grew up in Belleville, IL. She moved to Oklahoma when she was 12, but Nancy still has quite a bit of family here in the St. Louis area, including her father. So, shes skipping the L.A. premier, ducking out of the spotlight in order to watch this important film with her dad. Sony Pictures generously offered to host Nancys family and friends at this premier so they could view the film with her. She warns that the true wrestling fan may be up in arms over the chronology of the movie, but will appreciate the truth in the story. For the sake of cinematic storytelling, time has been compressed in the movie, but everything that happens on screen is based in truth," Schultz said. "Bennett Miller and the cast worked hard at getting the characters accurate and staying true to the root story. Its a hard movie to watch, especially for the wrestling family. David Doc Bennett has a small but pivotal role in the movie, and in the real life events, as the historian and storyteller in wrestling. Bennett worked with Miller for years on this project, introducing him to the wrestling family while instilling a deep respect for the sport in Miller. He, too is cautious when talking about the film. Its disturbing," Bennett said. "They really did a great job portraying the reality of what was going on at the time. It may not be chronologically accurate, but that doesnt change the authenticity of the film one bit. Nancy Schultz is very proud of the film, of Millers promise and respect to her family to accurately bring the spirit of the story to the screen. They recreated the 1988 Olympics to perfection," Schultz said. "Its like I was there all over again. And Steve Carell nails DuPonts creepiness. Ruffalo embodied Dave, he got it so right, down to the smallest nuances. The New York Film Festival description of the movie: Miller builds his film detail by detail, and he takes us deep into the rarefied world of the delusional du Pont, a particularly exotic specimen of ensconced all-American old money and privilege. Millers film is a powerfully physical experience, and the simmering conflicts between his characters are expressed in their stances, their stillnesses, their physiques, and, most of all, their moves in the wrestling arena. Foxcatcher offers us a vivid portrait of a side of American life in the 80s that has never been touched in movies. So while the paparazzi deluge the super celebrities on the Hollywood red carpet Friday, Nancy Schultz will host a more personal premier in St. Louis with family, friends and fans as Foxcatcher makes its official U.S. debut. Tickets are still available for the SLIFF screening at Landmark Plaza Frontenac Cinema. Foxcatcher will be showing on two screens at 8:30 pm and tickets can be purchased online. For more information, visit www.cinemastlouis.org. 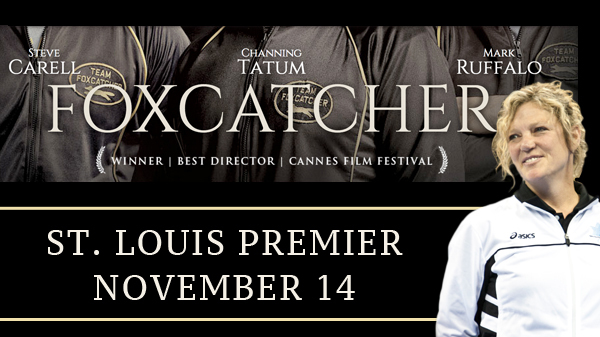 Foxcatcher officially opens in St. Louis on December 19.